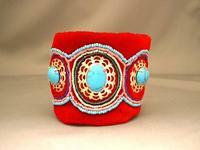 This hand beaded cuff bracelet has an original Moroccan inspired design direct from the artist?s work table! I've hand sewn turquoise howlite cabochons set in gold plate filigrees onto scarlet velvet. 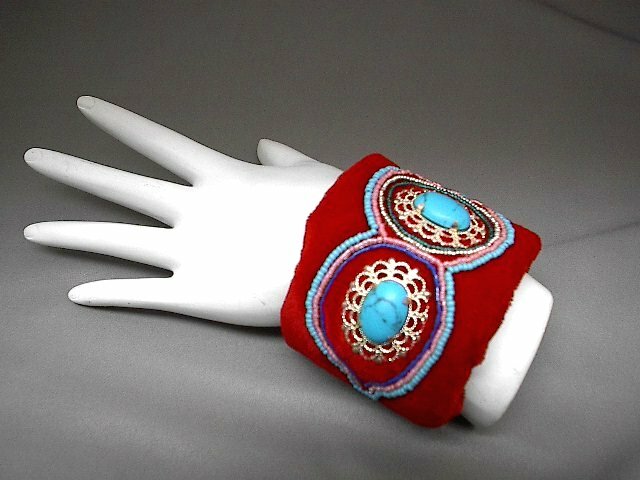 Then I painstakingly embroidered tiny seed beads in desert colors around the cabochons in designs vaguely reminiscent of North Africa. 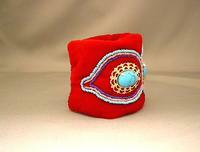 The velvet completely envelopes a brass cuff bracelet. 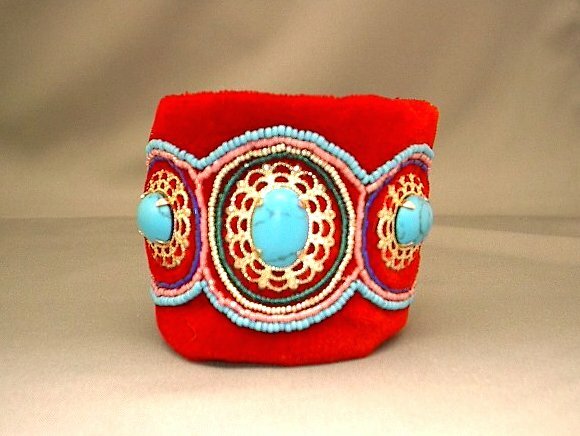 Sensitive ladies need not worry, for the velvet keeps the brass safely from touching your skin, making this cuff bracelet a pleasure to wear as well as to look at. The bendable brass cuff bracelet will adjust to fit most wrists. This luxurious cuff bracelet is as unmistakably SPARKLE PLENTY as a scirocco off the Sahara!